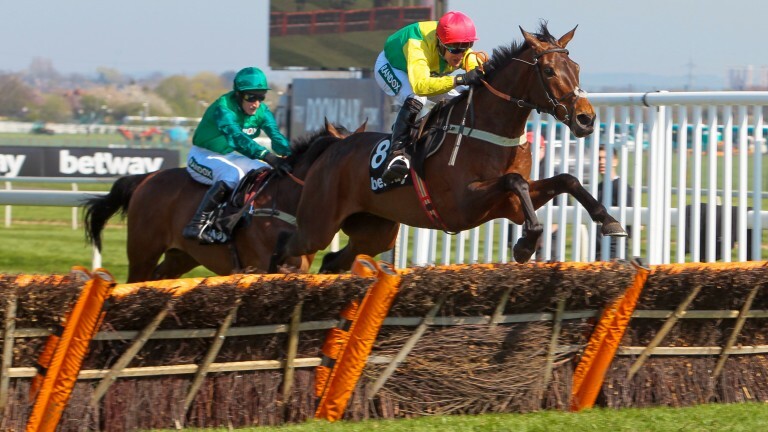 Finian’s Oscar will face three rivals at Cheltenham on Friday on the second chase start of his career. The five-year-old Grade 1 winner will be running in the colours of Alan Potts, who died aged 80 after suffering a heart attack on Sunday. Movewiththetimes, William Henry and Coo Star Sivola provide the opposition to the Colin Tizzard-trained Finian’s Oscar, who will be partnered by Bryan Cooper in the Steel Plate And Sections Novices’ Chase over 2m4f. Assistant trainer Joe Tizzard said: "We're looking forward to running Finian's Oscar again. He jumped really the well last time and I think he's tightened up for his run at Chepstow." Finian's Oscar is one of four runners in the Potts colours declared to race at Cheltenham on Friday. Mick Thonic and Shanahan's Turn go in the BetVictor Handicap Chase, while Vision Des Flos is set to line up in the Grade 2 Ballymore Novices' Hurdle. Tizzard added: "The family were more than happy to carry on and for the horses to run this weekend and I'm sure it will develop in time. That's all I know." Cause Of Causes, last year’s winner of the Cheltenham Festival’s cross-country chase, tackles the obstacles again on Friday. The nine-year-old, second in the Grand National, heads the weights for the Glenfarclas Cross Country Handicap Chase in which March’s third and fourth, Cantlow and Auvergnat, reoppose.